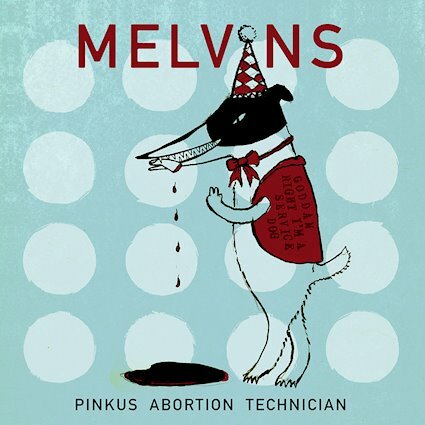 Of COURSE the Melvins have just dropped another record in my inbox and of COURSE it has two bass players, a Beatles cover and so much more goodness. This is one of the most unique and important bands in the world today, and now on their 27th(!) studio album they have crafted something that can't help but to fascinate. The Melvins are at a point in their careers where they have the freedom to explore and do just about whatever they want, and they know it, which is what makes them so great and keeps them so relevant. The touches on pop songwriting are counteracted, as per usual with the bands classic sludge metal stomp. The fact that they have two bass players barely registers simply because the arrangements are that good. the band has figured out how to make this unique lineup arrangement not only make sense but also help them to maximize the sheer Melvins-ness of it all. The wonderfully bizarre nature of this is obvious from the first track, Stop Moving To Florida and seems to only grow from their. Transgressive as ever and always willing to flip off those in power, Pinkus Abortion Technician leaves you wrapping your head around all sorts of bizarro magic. When it comes down to it, I'm just stoked that it sounds like the Melvins are having FUN. I'm stoked that the Melvins are doing weird and innovative things that you can't wrap your head around still. I like that they are still writing big choruses and counterbalancing them with the sort of twisted and brain melting experimentalism that made them so special in the first place. There is so much subversion in a given Melvins record and Pinkus Abortion Technician is no exception. It's going to leave you confused, gagging and begging for more.